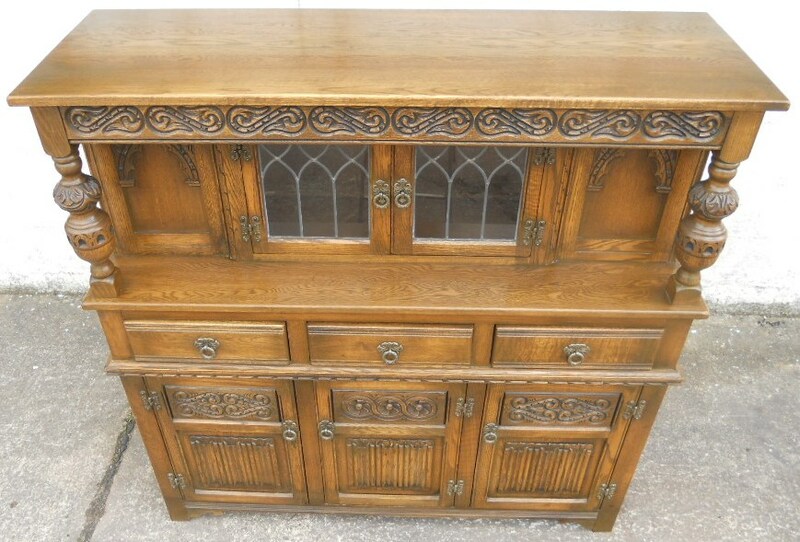 Good quality carved oak antique Jacobean style court cupboard by Old Charm. 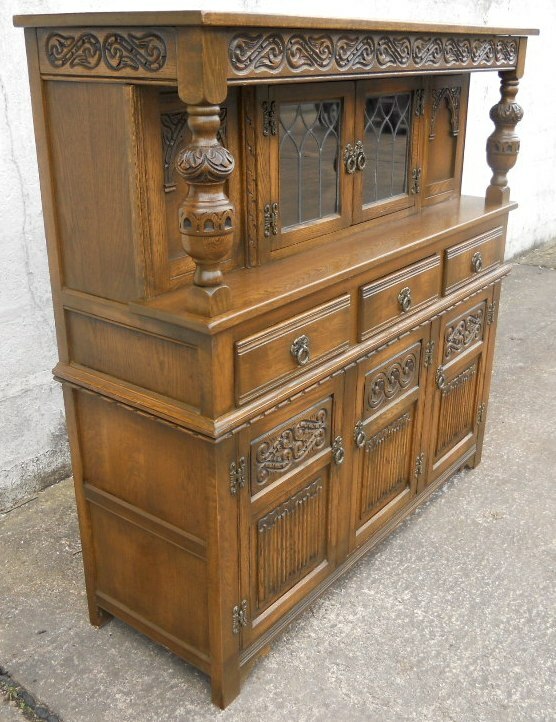 This well made court cupboard is in lovely condition throughout, with a pleasing medium oak finish. Having upper section with twin leaded glazed opening doors revealing display storage space. Lower base section having triple upper opening drawers and lower triple opening lower cupboard doors. 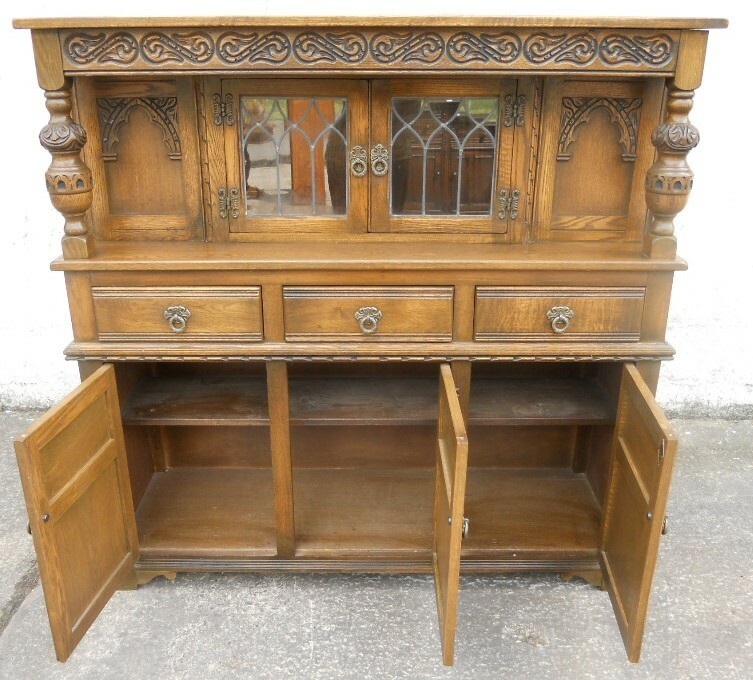 All providing useful storage space to keep the home tidy. 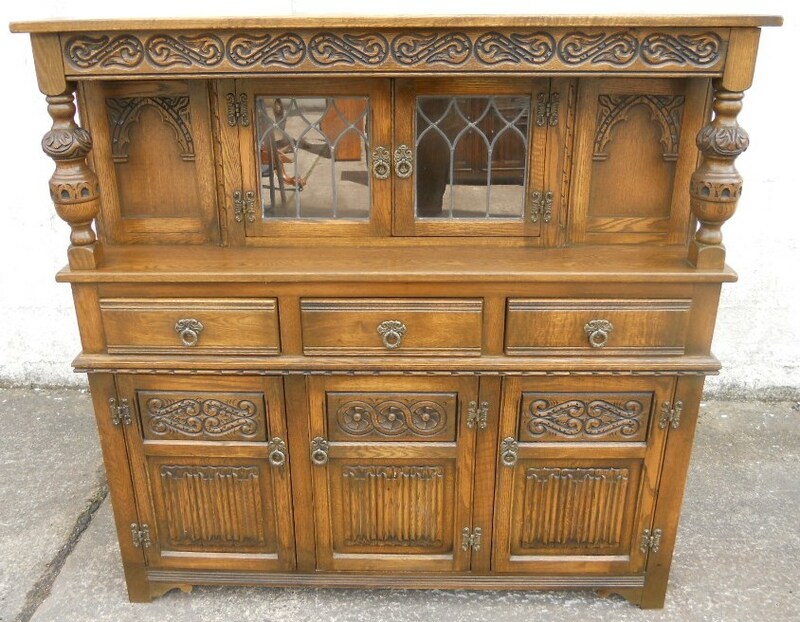 An attractive and practical piece of antique style furniture be a well known maker, circa 1980. 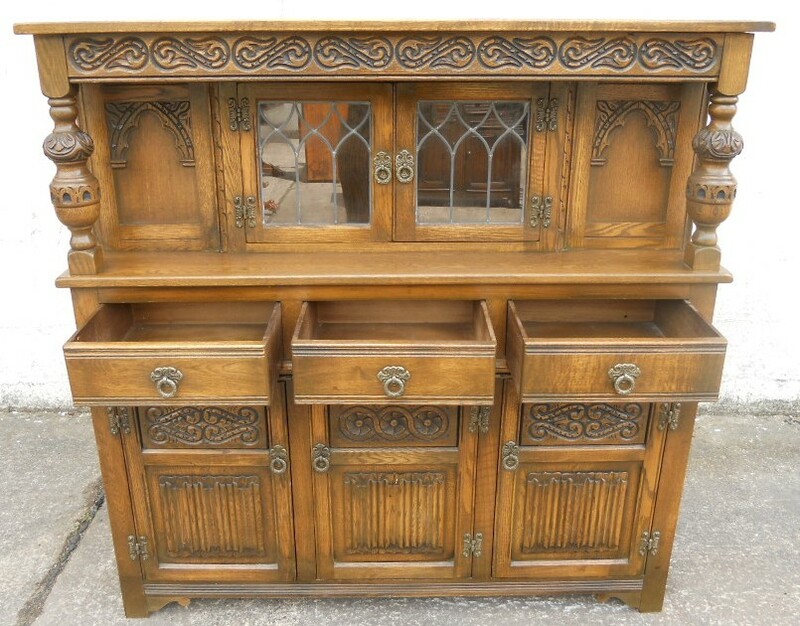 Offering the storage space of a sideboard and the upper section providing attractive display use, this larger size cupboard and drawer storage piece could be used in many of the downstairs rooms in the home, including the kitchen as an alternative to a Welsh Dresser.